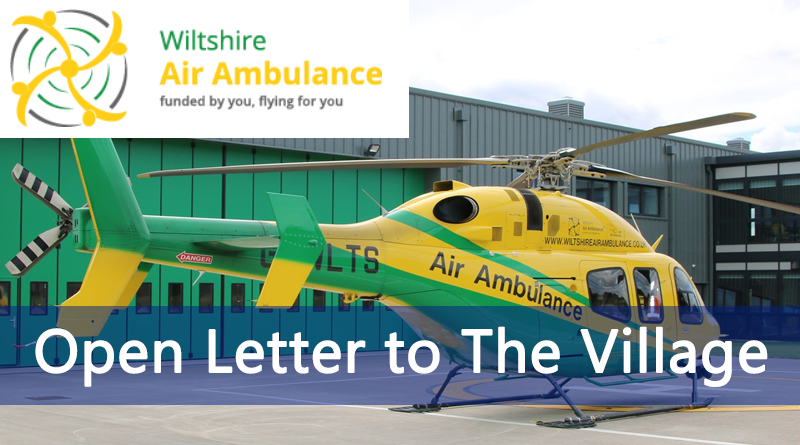 Wiltshire Air Ambulance It is almost a year now since we moved our lifesaving service into the purpose-built airbase opposite Outmarsh Farm. During the 10 months that we have been here, we have been overwhelmed by the warm welcome and many kindnesses we have been shown by residents of Semington, most of whom really value what we do. Indeed, since we started operations from our ’new home’ and until the end of February 2019, we have flown 365 missions by air and attended a further 583 in rapid response vehicles, often to Semington and the surrounding villages. One outstanding matter – and one that is especially pertinent to the people in this village – centres around the bus gate. I’m aware there has been some suggestion that our charity has reneged on a promise to move it but this is not true. As things stand, the Wiltshire Council planning authority do not want the bus gate moved and therefore we would be breaking the law should we unilaterally decide to do so. If this matter changed, we would work with Wiltshire Council and the parish council to come to the best solution for the bus gate in the future. We also understand there is now a suggestion that cameras be affixed to the bus gate to deter unlawful use as, according to the parish council, ‘more disturbing is the number of parishioners ignoring the bus gate restrictions and…if left unchallenged, the benefit of the bus gate for the villagers of Semington would be lost’. Indeed we would welcome the publication of metrocount figures that suggest less vehicles are driving through the village since we relocated here, which in turn might allay concerns about the bus gate. Once more, thank you for the very kind welcome we have been afforded since moving to Semington and we look forward to many years of happily operating from our airbase north of the village.